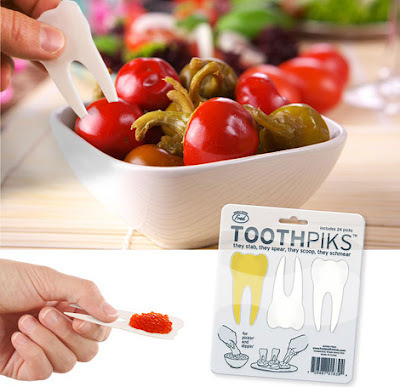 Collection of 'Creative Tooth Inspired Products and Designs' from all over the world. 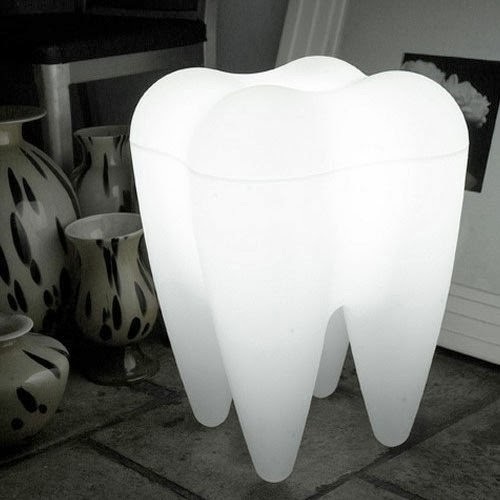 Tooth Lamp: This oversized tooth lamp is an interesting way to light up your room; its lit up by a fluorescent globe on the inside. It doubles as a seating while you read your book. 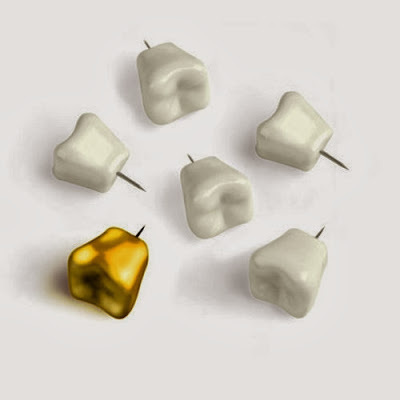 Tooth Push Pins: It comes in set of six with one gold-colored piece; tack your photos, lists, and memos to your wall with these cool Tooth Push Pins. 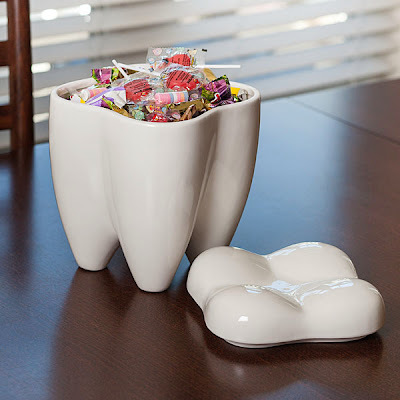 Sweet Tooth Cookie Jar: This porcelain cookie jar comes in the shape of a molar and is nearly 9 inches tall. 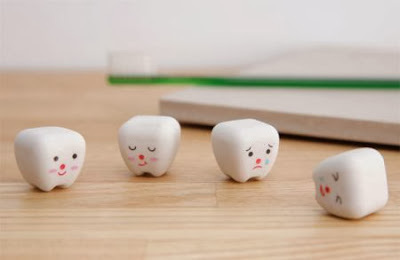 Tooth Erasers: These cool erasers come in the shape of cute teeth. 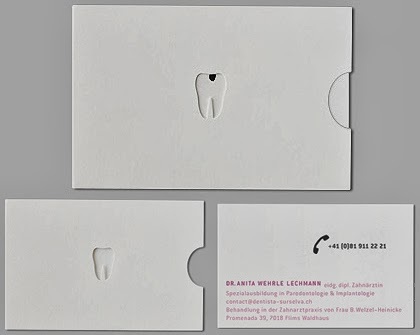 Tooth - Business Card: This business card for dentists features an extra coat with a tooth-shaped cutout and the phone icon plays as a hole. If you want to remove the hole, check out for more information of the dentist. 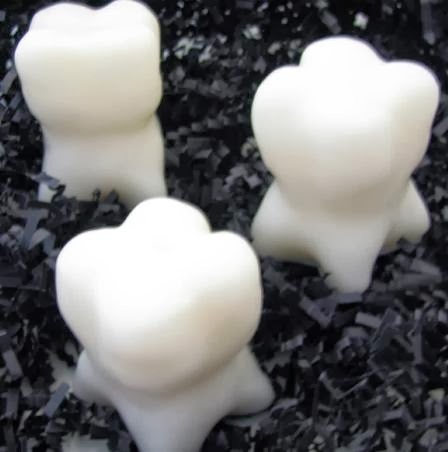 Tooth Soap: These are handmade glycerin soaps come in the shape of molar tooth. 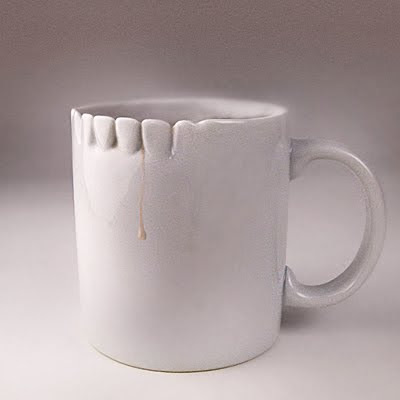 Teeth Tea Cup: This unusual teeth cup is the creation of artist Lily S, using 3D printer. 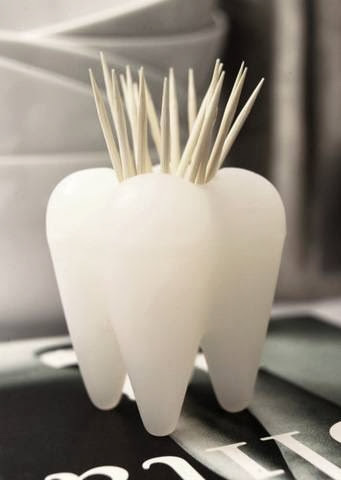 Tooth Toothpick Holder: This toothpick holder comes in the shape of a tooth. 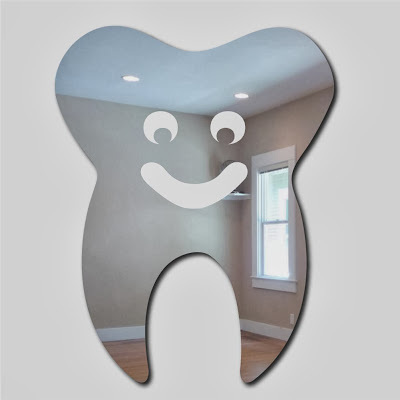 Happy Tooth Mirror: This happy tooth mirror has been well looked after, just look at that smile. 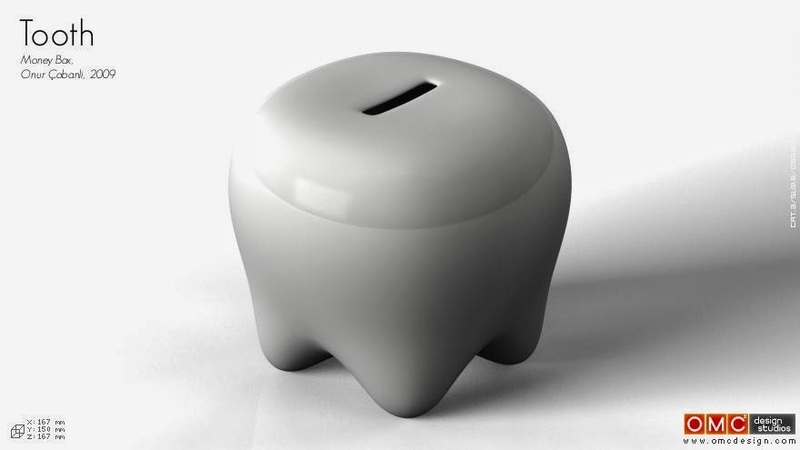 Tooth Money Box: This cool coin bank comes in the ornamental shape of a cute tooth. 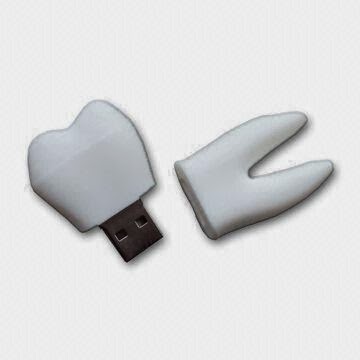 Tooth USB Drive: This cool USB drive comes in memory capacity of 64MB to 16GB. 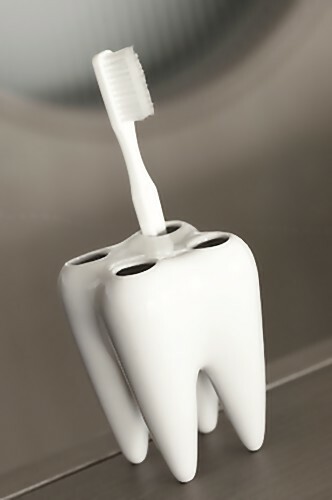 Tooth Toothbrush Holder: This oversized tooth toothbrush holder actually looks cute. Toothpiks: This tooth-shaped party fork is best suited for party. 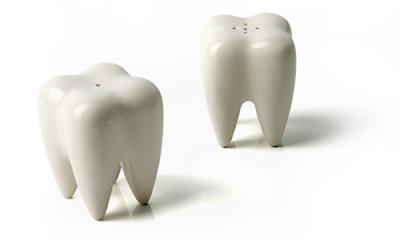 Tooth Salt and Pepper Shakers: This oversized tooth shakers will look great on any table. Tooth Cup: Each of these cups are individually handmade by skilled ceramic artists to ensure that every set of teeth is straight and clean with the brightest smile. 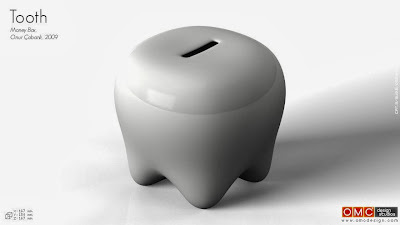 15 Cool Docks for iPhone, iPod, and iPads - Part 3. 15 Creative Scissors and Cool Scissor Designs - Part 2. 15 Clever Business Cards and Creative Business Card Designs - Part 7.